First appearing on the PC in 2014, this Multiplayer Online Battlefield Arena has since come to Xbox One and Playstation 4. In Smite, you take the role of one of dozens of gods or demigods from various mythological texts in order to take part in high stakes arena combat. Smite joined the world of eSports in 2015 with the first Smite World Championship, in which teams from all over the world took part. 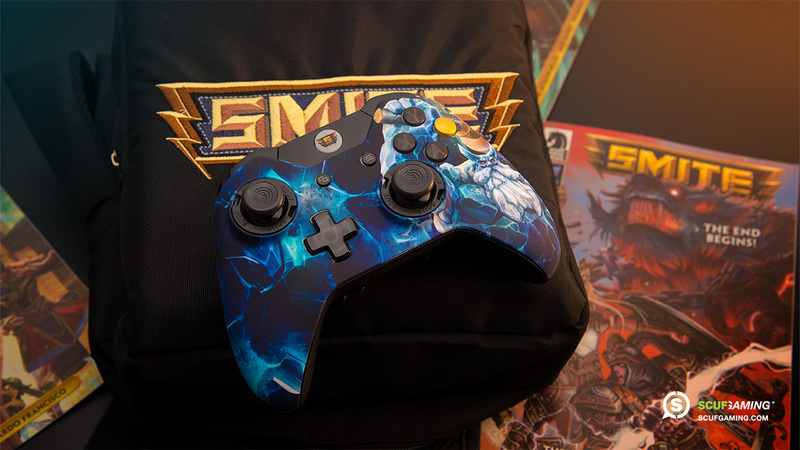 With millions of players in the Americas, Europe, and Asia, Smite has attracted some of the best players and teams in the world, including Epsilon eSports, Cloud9, and Team eXcellence. 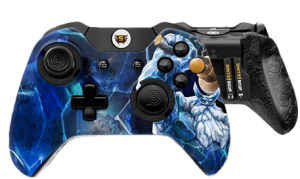 Paddle configuration: With a SCUF, you use the paddle system on the back of the controller to press a button and then the “release” in one simple hand motion. Paddles dramatically reduce the time it takes to use an ability while leaving your thumbs free to move your character or shift the targeting view to hit the target. 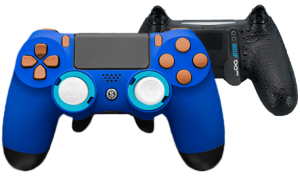 Quick casting is faster than Normal and the SCUF paddle system lets you utilize the speed of that mode without sacrificing your accuracy or the ability to turn the player perspective for escapes. Triggers: Our hair trigger system allows you to use your abilities in a fraction of a second, hitting that sweet spot the moment that your cooldown is finished! Thumbsticks: Thumb sticks are always a matter of personal preference, but we tend to like having two regular length concave thumb sticks for this game. They offer a level of control and grip that will help you keep up with anyone.